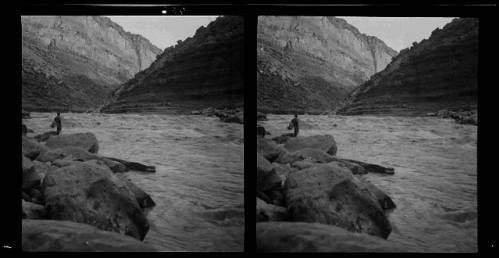 A detailed account of two photographer’s river trip from Marble Canyon to Bright Angel, the last stretch of their expedition which originated in Wyoming. Leaving Lee’s Ferry, only a hundred miles separated Emery and Ellsworth Kolb from their home and studio on the Grand Canyon rim. To reach it they would have to take on the formidable rapids in the canyons of the Marble and Grand, trapped on either side by the steep walls of the inner gorge. Once across the fault line which exposed the Vermillion Cliffs, the designated end of Glen Canyon, the Colorado River drops 2,300 feet to the end of the Grand Canyon. For comparison, the entire length of their journey thus far from Wyoming had only descended 2,900 feet. Producing quality photography and motion picture film while piloting wooden boats in continuous rapids is one of the greatest feats ever attempted in the Grand Canyon. At Soap Creek Rapid, where Frank Mason Brown, a river-runner, and railroad tycoon drowned in 1889, they contended with exposed rocks and twelve-foot waves. Ellsworth attempted this first in his boat The Defiance, while Emery filmed with a hand-cranked motion picture camera from shore. Ellsworth struck a rock and was thrown out of the boat, but managed to hang on the side and quickly climb back in. On a second attempt, Ellsworth piloted Emery’s boat The Edith over the falls. Again he struck a rock, this time capsizing and being thrown into the water. While the brothers were spared injury, the soaked plates and cameras were not so lucky. 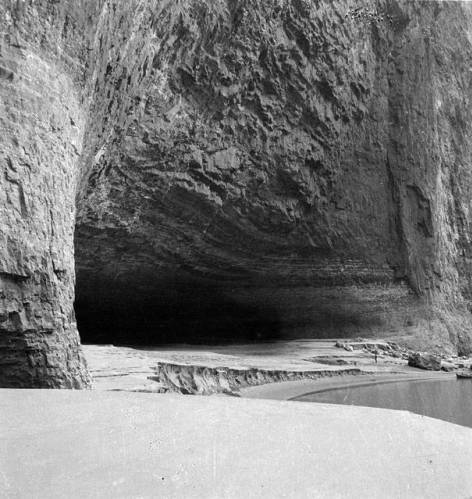 As they went deeper into Marble Canyon, the gorge narrowed to just over a hundred yards with walls of smooth limestone. There they made camp in a cave carved out by the river in perfect ledges. 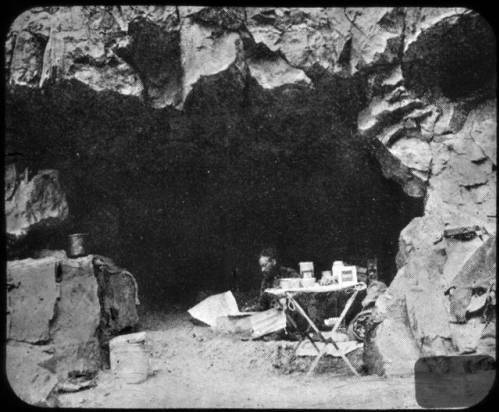 Now into the Grand Canyon proper, the brothers’ journals reveal familiarity with the rock units and landmarks. Although comforted by the sights of home, they could not yet relax, as the most difficult and powerful rapids lay ahead. An unnamed rapid near the Nancoweep Valley broke a rowlock, line, and flooded both boats. Reaching the Little Colorado they began to see places they had previously visited. They made their final camp under a magnificent sunset, only fourteen miles from home. The next day saw “good rapids,” large and powerful but with only a few rocks. Emery’s momentary fall into the water is the only minor accident recorded. Now in the enigmatic Vishnu Schist of the inner gorge, the brothers looked up over a billion years of geologic time, 5,000 feet to the rim. November 16th, 1911, marked the conclusion of a two- month and eight-day journey from Green River, Wyoming, to Bright Angel, Arizona. Emery and Ellsworth photographed and filmed the last bastion of the frontier in America. The Grand Canyon section provided for their most visually striking and popular work. The brothers were wildly successful; their studio became a popular tourist destination and they traveled the country with a motion-picture show. 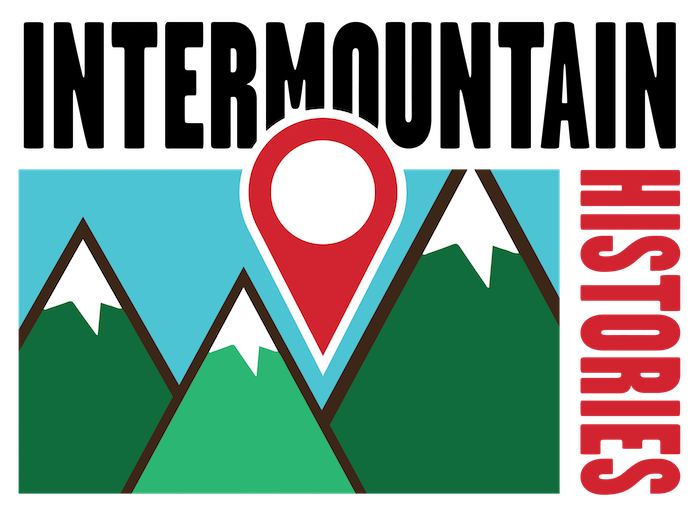 Emery and Ellsworth survived over a thousand miles in the canyon depths of the Intermountain West and soon brought that experience to the American people. In December, they returned to the river and followed it to Needles, California. 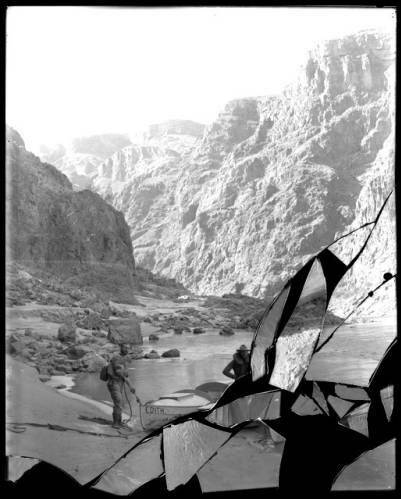 Jonas Dunlap, Northern Arizona University, “The 1911 Kolb Expedition Enters the Grand Canyon,” Intermountain Histories, accessed April 19, 2019, https://www.intermountainhistories.org/items/show/66. Kolb, Ellsworth. 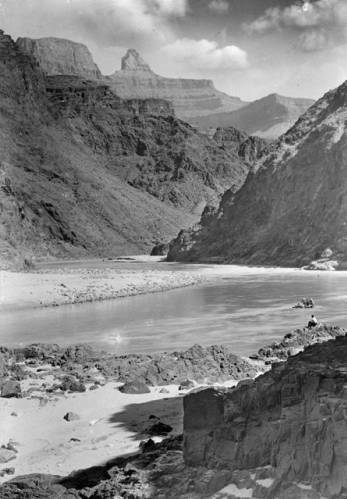 Through The Grand Canyon From Wyoming To Mexico, New York: The Macmillan Company, 1914. Kolb, Ellsworth L., William C. Suran, and Emery Clifford Kolb. The brave ones: the journals and letters of the 1911-1912 expedition down the Green and Colorado Rivers by Ellsworth L. Kolb and Emery C. Kolb, including the journal of Hubert R. Lauzon. Flagstaff, AZ: Fretwater Press, 2003. Sailor, Rachel McLean. Meaningful Places: Landscape Photographers In The Nineteenth-Century West. Albuquerque: University of New Mexico Press , 2014. Trimble, Steven. 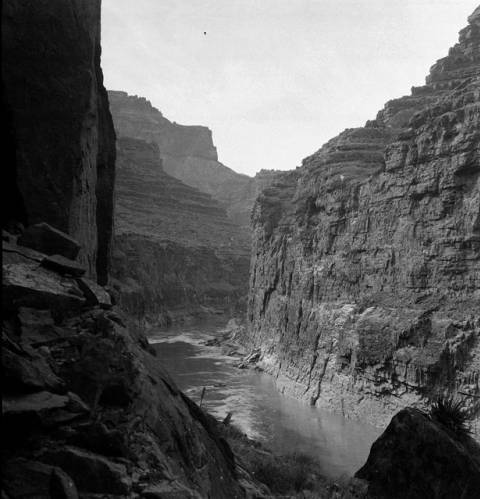 Lasting Light: 125 Years of Grand Canyon Photography. Flagstaff, AZ: Northland Publishing, 2006.